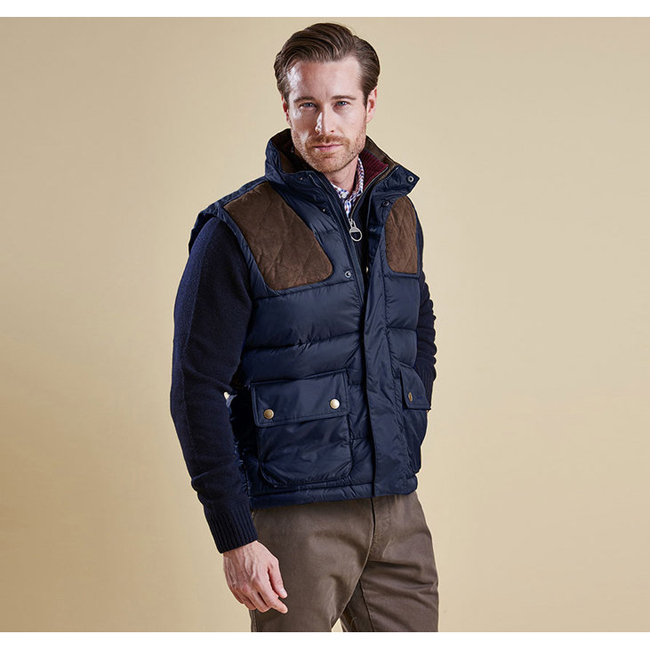 The Colwarmth is baffle-quilted men’s gilet filled with microfibre down, for exceptional warmth without weight. This versatile gilet is perfect for throwing over a shirt or jumper on milder days, but can also be teamed with a jacket as an insulating midlayer when temperatures really dip. It’s smartly styled with quilted suedette shoulder patches and a high funnel collar with a suedette inner stand, plus a concealed two-way zip and stud fastenings. Two generous lower pockets offer practical storage for essential items.